The 15-year-old Roma girl from Kosovo who was taken off a school bus by French police, then deported with her entire family, can now return – on her own, President Francois Hollande said, following two days of nationwide protests. "She will be welcomed back, and her alone," Hollande said in a recorded message from his office on Saturday. Leonarda Dibrani's mother and five siblings were not allowed in, while the girl has already stated she would not come back on her own. "I've refused because I want to go with my family, not by myself – I can't fend for myself," she told Reuters. 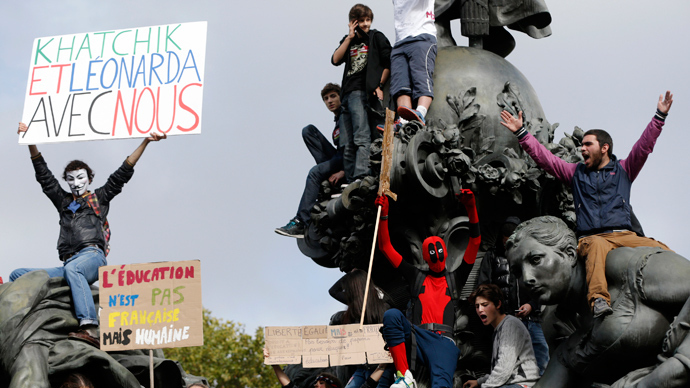 Paris has just emerged from two days of massive protests, largely from the country’s teens. The students blocked school entrances, hung banners saying that education should be free for all, and demanded that the interior minister, Manuel Valls, resign. The students insisted that Leonarda and Khatchik Khatchatryan – an Armenian 19 year-old boy who was also expelled but not yet allowed to return – are their peers. The public nature of Dibrani’s detention has led many to question the long-held image of France as a champion of human rights. On October 9, she was taken off a school bus in front of her entire class, a situation which led the government to come under fire from human rights groups, citizens, as well as members of its own Socialist government. Hollande has promised that from now on local authorities will be prohibited from carrying out detentions of children during the school day. 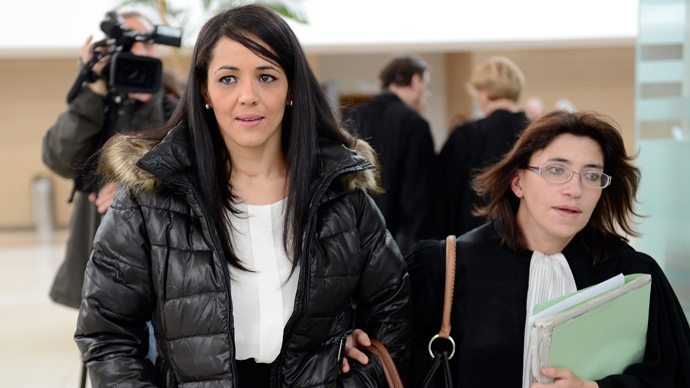 An investigation into the family’s expulsion has determined that all the correct legal procedures were followed, but added that the police could have handled the matter differently, France 24 reported. "The decision to implement the deportation of the Dibrani family (which included 15-year-old Leonarda) was consistent with current regulations," said a report posted on the interior ministry’s website. 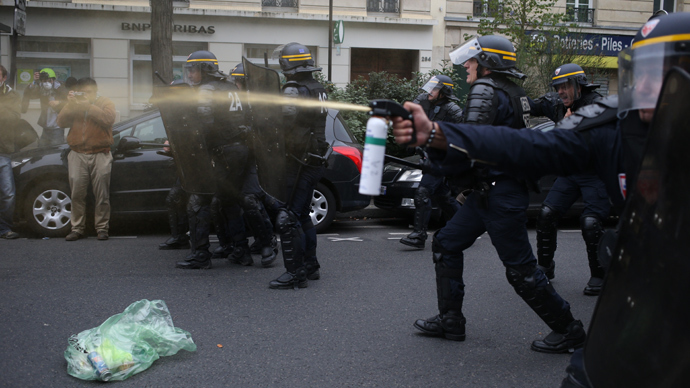 French law forbids the police from approaching children while they are in the care of their school. But the subsequent report stated that the bus was not even in the vicinity of Dibrani’s school. The police could not find Leonarda at home earlier, when they detained the rest of her family. Her father had been expelled from a detention center the previous day. The expulsion of gypsies from France is no news. 2011 saw a 17 percent jump in expulsions from the previous year. That means 33,000 gypsies were expelled that year alone. The interior minister’s predecessor, Claude Gueant – former President Nicolas Sarkozy’s close ally – was a strong proponent of the practice, and views have not changed. 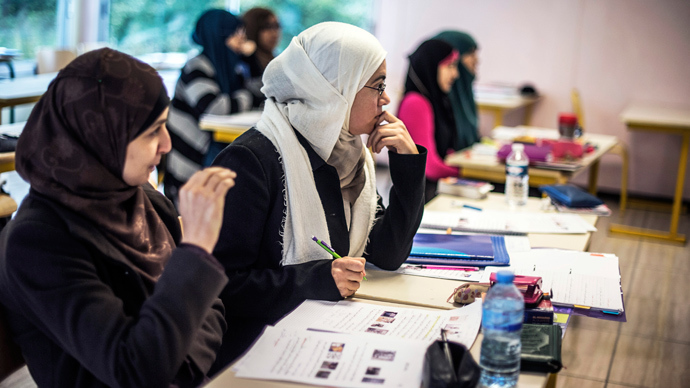 France remains a tough country for immigrants. Although national polls show that 93 percent of French people do not believe that the Roma can or even wish to integrate into their culture – and 77 percent show outright support for the expulsions – Valls landed himself in a difficult position with this latest case. Last month France received a warning from the EU that if its treatment of Roma gypsies does not change drastically, it will face sanctions. This was after Valls’ controversial remark that France was “not here to welcome these populations”.